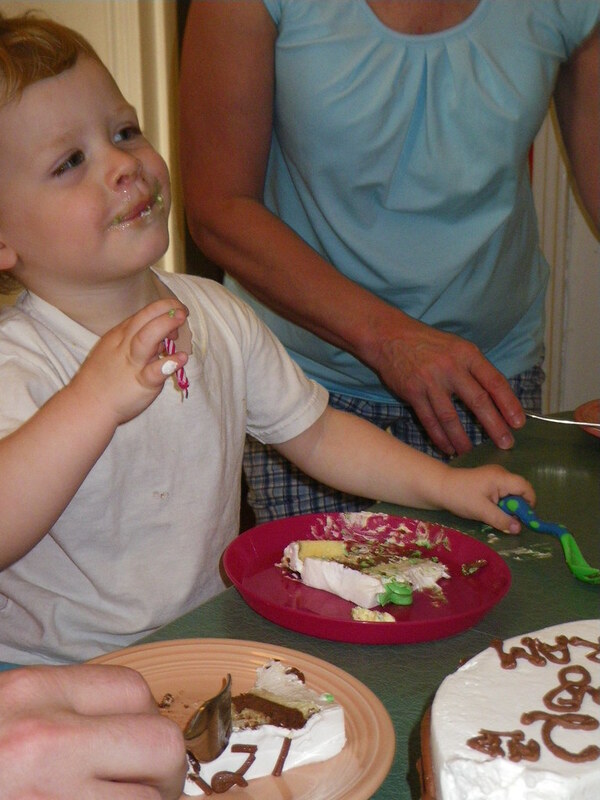 Cake this year was much more subdued, but I think Bertram may have enjoyed it even more than his first birthday. New Shape sorter including all the shapes Bert loves including Hexagons, Octagons, and parallelograms. All of which it's hilarious to hear him say. He often still calls the parallelograms "gram" or "pentagram" "Pentagram" he came up with himself, and they don't seem to feature in any of his books so I've not been able to switch that word over to it's correct symbol. New Play kitchen for Bert's second Birthday. 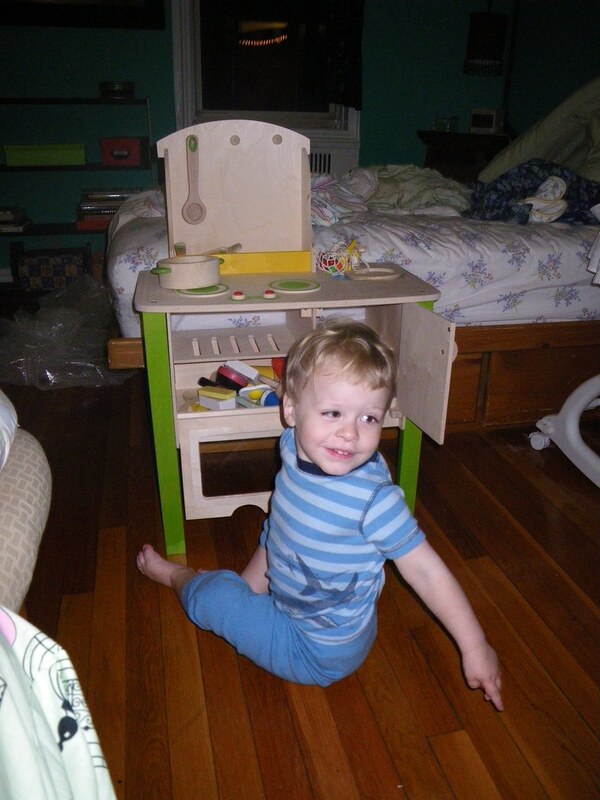 We set it up in the bedroom the day before so that Mom could play with him and the kitchen a bit. Not to say that Rachel is totally stuck in the bedroom, she is mobile but little Vivian keeps her in the nursing chair quite a lot.